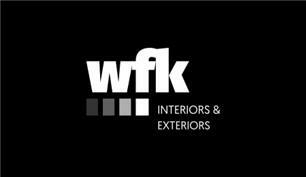 WFK Interiors & Exteriors - Builder, Driveways/Patios/Paths, Painter/Decorator based in Sunbury-on-Thames, Middlesex. WFK is a one stop shop for all of your building, renovation and decorating needs - we cover domestic and commercial properties and no job is too big or small. Whether you are looking for a small room to be painted & decorated, a bathroom or kitchen to be refitted or have a bigger job such as an extension or a loft conversion then our team are here to help. We specialise in renovation, building and decoration services and have been established for over 20 years. We cover Greater London, Twickenham and the surrounding area. Our work is fast, efficient and always of the highest standard. We provide free quotes at the earliest convenience and are happy to visit in the evening or at the weekend to fit around working hours. We have a network of local tradesmen and pride ourselves on going the extra mile and carrying out our jobs with minimal disruption. WFK staff are flexible with work times to suit your needs. If you would like a reference or to see examples of our work then please don't hesitate to ask.